Wellington, July 26 NZPA - The Green Party has drafted a bill seeking to stop overseas buyers snapping up large tracts of New Zealand land. 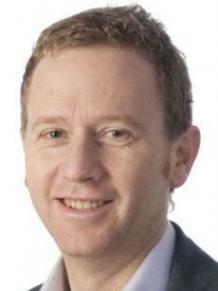 Green Party co-leader Russel Norman's member bill would amend the law around overseas investment and remove the ability of foreign buyers to purchase sensitive land. Dr Norman said that would include anything more than five hectares of rural land. Natural Dairy, fronted by New Zealand-registered UBNZ, has an agreement with the receivers to buy the Crafar farms, but it is conditional on Overseas Investment Office (OIO) consent. Bids for the 13 dairy farms and three drystock properties closed recently. The OIO will make a recommendations but final decisions are made by Finance Minister Bill English and Land Information Minister Maurice Williamson, or their delegates. Mr English has delegated his decision-making powers regarding the Natural Dairy application to MP Kate Wilkinson. Prime Minister John Key recently said he could not comment directly on the Crafar farms issue while it was before the OIO. However, he said New Zealanders should be concerned if "huge tracts of our productive land" were sold. "Now, that's a challenging issue given the state of the current law and quite clearly it's evidentially possible and has been achieved that individual farms can be sold. Looking four, five, ten years into the future I'd hate to see New Zealanders as tenants in their own country and that is a risk I think if we sell out our entire productive base, so that's something the Government will have to consider." Dr Norman said Mr Key had not explained what his plan was. "It's a bit unclear where they are going," he told NZPA. He said his bill would be a solution. "That would deal with John Key's concern about us becoming tenants in our own country because you wouldn't be able to sell large areas of it into foreign ownership." Dr Norman said he was concerned that Mr English was looking at how to make investment easier for foreign companies under the Overseas Investment review. "The Green Party considers that New Zealand land should remain under the ownership of New Zealand citizens or permanent residents and shouldn't be sold into foreign ownership." Mr Key today said he thought Dr Norman's views were extreme and while the review was due soon he would not comment on it yet. "We'd need to work our way through it." Mr Key said he would deal with Mr English and the review and worry about member's bills later. Dr Norman said there were dangers for New Zealand's brand, regulation and economy should such sales as the Crafar properties go ahead. He argued that increased trade since 2008 when New Zealand and China signed a free trade agreement was not about the deal but was due to increases in timber exports, as China tried to meet its building boom, and in milk solids as people looked for safe products after the Sanlu disaster.